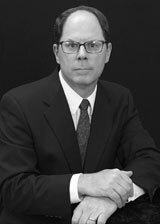 Kurt Moline is a Forensic Firearm and Toolmark Examiner with over 25 years experience in the field of forensic science. He is currently employed full-time in a state forensic laboratory, where he serves as the Technical Leader for the Firearm and Toolmark Section. Kurt Moline has a strong background in science with undergraduate and graduate degrees in biology. His training included three years of in-service training by senior firearm examiners, FBI courses, armorer courses and numerous Association of Firearm and Toolmark Examiners training conferences. Kurt Moline is active in professional development activities, regularly attending professional meetings, workshops and paper presentations. He is a Distinguished Member of the Association of Firearm and Toolmark Examiners (AFTE). In addition, he is a member of the American Academy of Forensic Sciences, the International Association for Identification (Minnesota Division). He also serves on the Advisory Board of the Minnesota Innocence Project and is an Assessor and Technical Advisor for the American Society of Crime Laboratory Directors Laboratory Accreditation Board (ASCLD-LAB). Kurt Moline provides training to numerous law enforcement agencies on a regular basis, he has instructed numerous times for the Bureau of Alcohol, Tobacco, Firearms and Explosives, National Firearms Examiner Academy and is an Adjunct Professor at the University of Hamline in St. Paul for 11 years.